Remember HTC's plans to make a full-sized Windows RT tablet? Well, you can forget them again: according to Bloomberg, those plans have been canned. HTC hasn't given up on Windows RT altogether - the same report notes that there are still plans for a seven-inch RT tablet - but perhaps it should. Making unremarkable products running software that nobody wants isn't the best business plan, and an RT tablet is more likely to resemble the HTC First than the superlative HTC One. HTC's been making plans for the wrong Windows. Can we call it a flop yet? Windows RT isn't working. It was designed to hit Apple where it hurts, right in the iPad, but while Apple's doing around 20 million tablets per quarter Windows RT is only doing 200,000 units over the same period. That's largely because there are hardly any Windows RT devices, and the ones that do exist are hardly compelling. Take the Surface RT, for example. At £500 it's more expensive than an iPad, and it's more expensive than Lenovo's excellent - if slightly underpowered - ThinkPad Tablet 2, which runs proper Windows. With Windows 8 and Windows RT, Microsoft tried to do too much, too quickly. That's backed up by Windows 8.1, which is generating excitement not because it has lots of cool new features, but because it makes Windows 8 more like Windows 7. Even Microsoft tacitly admits that it messed up: recent briefings have emphasised the desktop stuff rather than the new UI. It would have made much more sense to scale Windows Phone up to tablets, a strategy that's worked pretty well for Apple and Google so far. Windows RT was a brave and bold experiment, but it hasn't worked. 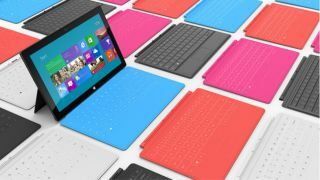 The OEMs don't want it, consumers couldn't care less and when full-fat Windows 8 tablets are cheaper there's no reason for its continued existence. Microsoft has two excellent modern OSes. Windows RT isn't one of them. Maybe it's time to stop flogging a dead OS.